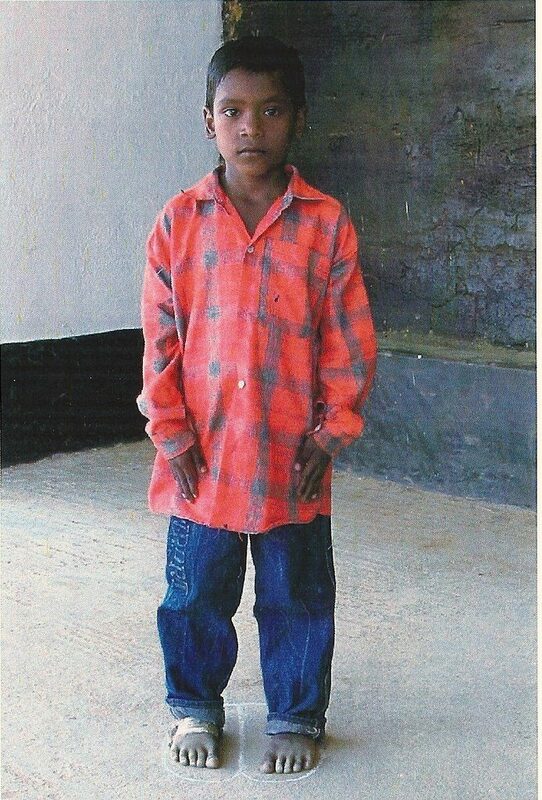 His name is Sreemonta, and he was six years old at the time. Over the last ten years we have prayed for him and his family, paid for his education and basic needs, and exchanged letters. I’ve watched his drawings evolve from crayon depictions of his house and village, to pen sketches of more focused subjects. We’ve read about everything from friends and Sunday school, to family and dreams for the future. We celebrated his parents’ salvation with him. A few weeks ago I wrote our last letter to Sreemonta. At the end of 2016 we started getting letters from Compassion about a difficult situation they were working through. The Indian government was starting to enforce the maximum restrictions of a 2011 law, effectively denying foreign funds through any organization whose purpose differs from India’s political ideology. Compassion was fighting hard to keep their centers open, and, at the time, asked supporters not to mention the issue due to the very delicate nature of the negotiations. 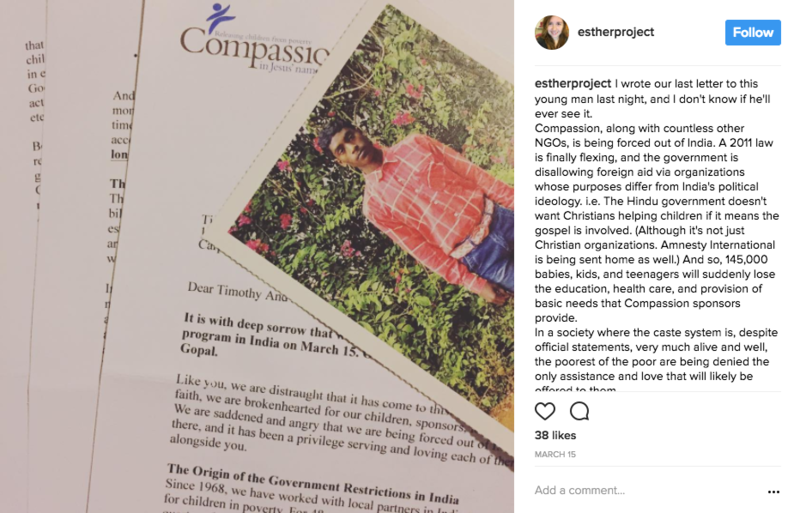 But as of this month, every effort has failed, and Compassion—along with countless other NGOs—is being forced out of India. The situation that has forced us to leave India actually began back in 2011, when the Indian government made significant changes to the Foreign Contribution Regulation Act (FCRA). FCRA regulates nongovernmental charitable organizations’ reception of foreign funds into the country. The most recent data estimates that 30% of the Indian population lives below the poverty line, which is drawn at $2.40 per day. That’s almost one in every three people. Of the estimated 385 million children living in extreme poverty ($1.90 per day) worldwide, 30% live in India. Compassion is just one of those one million charities, and the repercussions of their leaving will be felt tremendously. Compassion has been working with more than 580 church partners across India to support more than 145,000 babies, children, and young adults. Many of those local churches hope to stay open, and will continue working with children as best they can. I’ve always loved that Compassion works with and through local ministers, and these events demonstrate the wisdom of that philosophy in still another light. The money is leaving, but the people are not foreign missionaries who would have to pull out. The people are staying and the Church is the people. During that time, the majority of our local church partners and field offices have slowly rationed their reserve accounts and continued to struggle as their funds dissolved. It’s unclear how the Indian government plans to support the 115.5 million children who are living in extreme poverty within their borders, but I suspect they have no such intention. During my time in India several years ago, the local pastors and church members explained to us that the poor go unaided because of Hindu teachings on karma and reincarnation. Hinduism believes that each cycle of reincarnation is based on the previous life, so if someone is born into the untouchables caste it is because of bad karma from a previous life. It’s not just vengeance, though, that person has to live out his bad karma to be reincarnated to a better life next time. Helping the poor interferes with the cycle of karma and keeps that person trapped. And millions of children suffer from starvation, malnutrition, and easily preventable diseases in the meantime. Pray. Pray that Compassion’s local partners figure out how to continue the work. Pray for all the good seeds that have been sown to take root and bear fruit. Pray that the children understand and don’t feel abandoned. Pray that Indian officials realize their mistake and invite these charities back in to serve their poor.